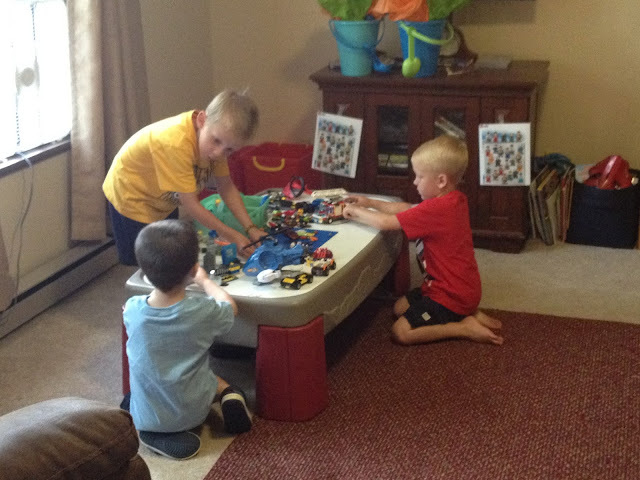 It's been awhile and I need and want to document the boy's LEGO birthday party from 2014. 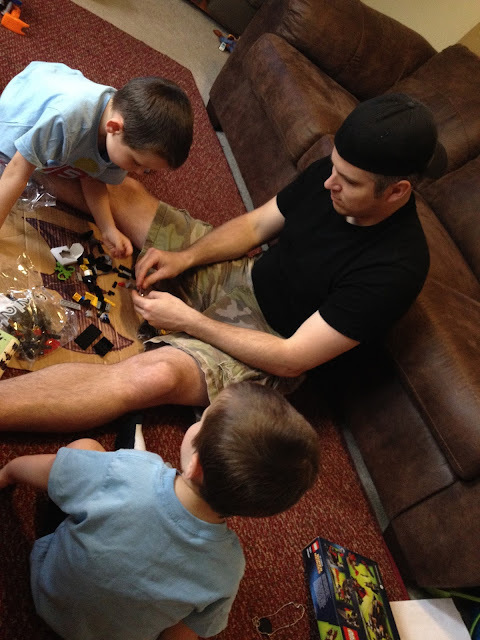 Alex turned 3 and Evan turned 5 and they are obsessed with legos. Since their birthdays are SO close we had another double birthday party. 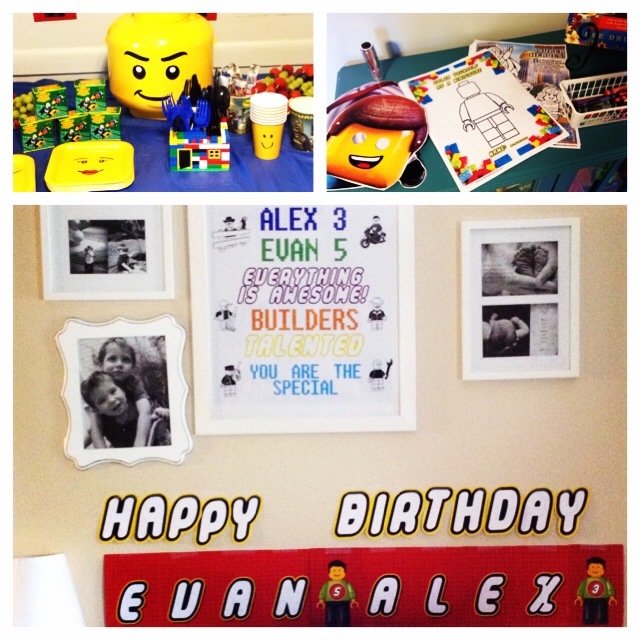 I'm so excited to share some of the Lego birthday ideas we did for their party. 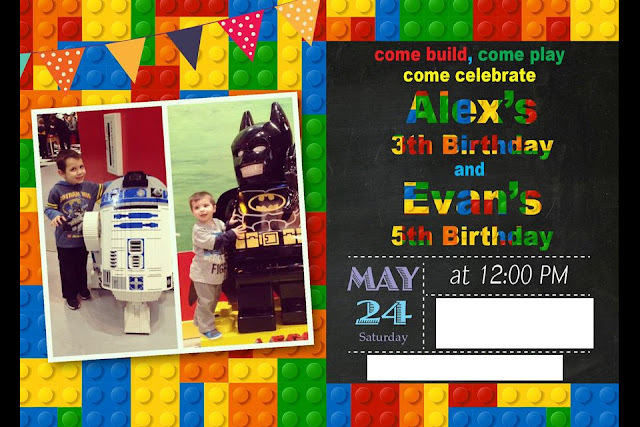 I can't believe Alex is 3 and Evan 5 already! Crazy how time flies. 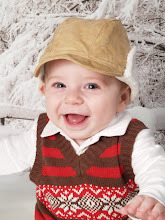 Shirts from MyEmmyBaby on Etsy. I love these shirts and more importantly so did the boys. Love how she personalized them and love the quality. Invites were from ArtHomer on Etsy and I loved them! SO fun! Here are just a few of the decorations. We used red wrapping paper and covered our door to make it look like a giant lego. We used round, red paper plates (all from the $1 store) to put on the door to make it look real. 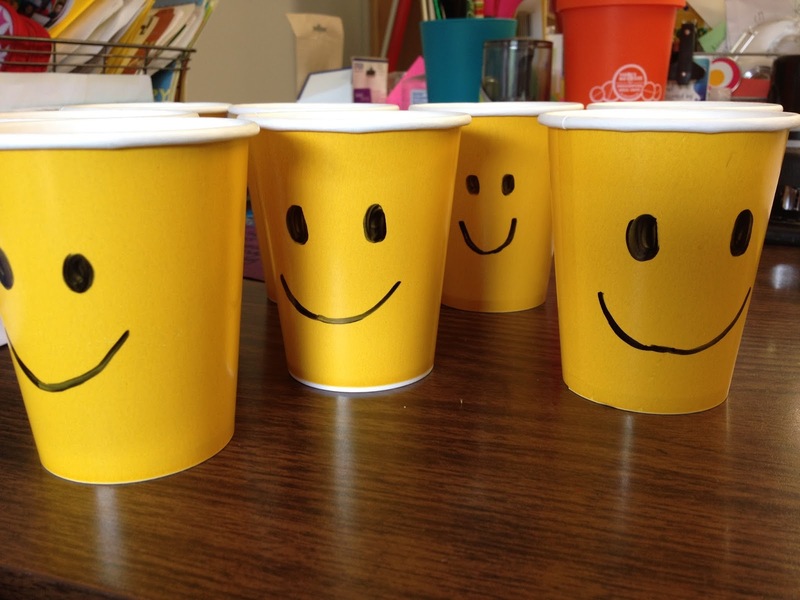 For the plates and cups, I again, got dollar store plates and cups in yellow and just used a magic marker to draw on them lego faces. For the utensils, the boys had built a house and we just didn't put the roof on to hold the forks and spoons. 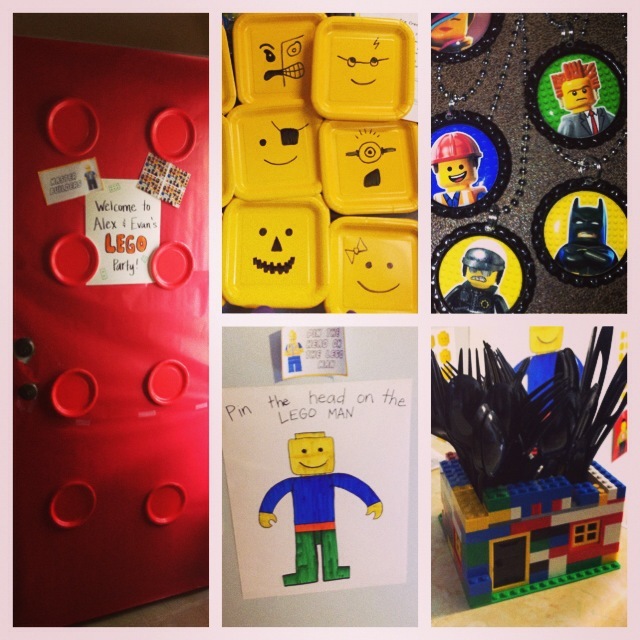 One of the games we played was Pin the head on the Lego Man. 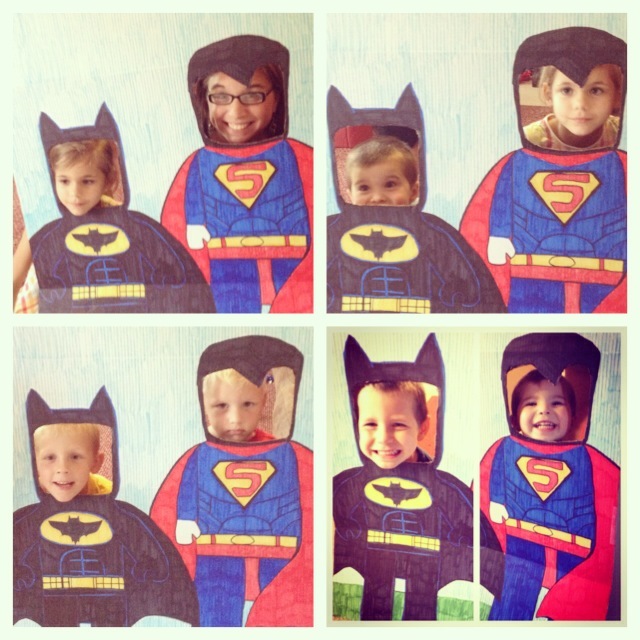 I drew a lego man onto posterboard and then found these printables of the masks HERE. I love them. I printed out one set for the game and made a second set and made them into masks that the guests and boys could play with and take home. Cookies were from ATrufflePopShoppe and they were delicious. 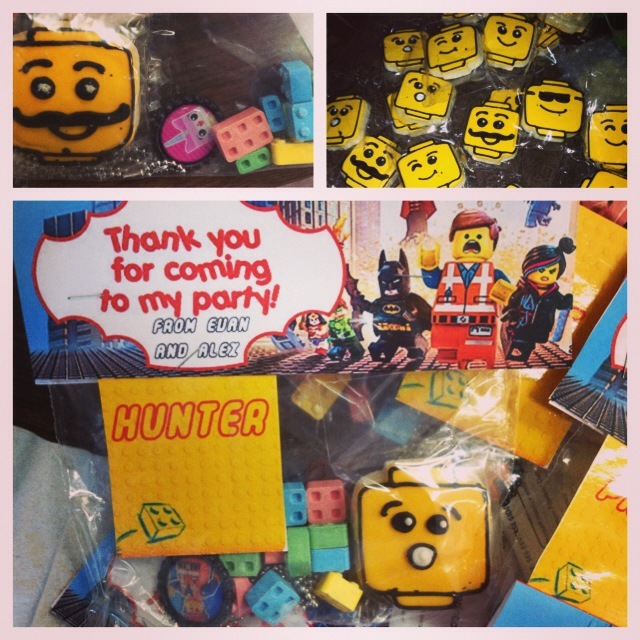 We got the candy legos and Lego necklaces off Amazon and I made the party bags. I also made a photobooth from a tri-fold cardboard display board (also from the dollar store) and drew on the characters and cut the hole out with an exacto-knife. This was hilarious!! Lego candles were also from Amazon. We set up a few Master Builders stations around the living room for their friends and the parents to just free build. It was such a fun, relaxing party watching the kiddos build and be creative! 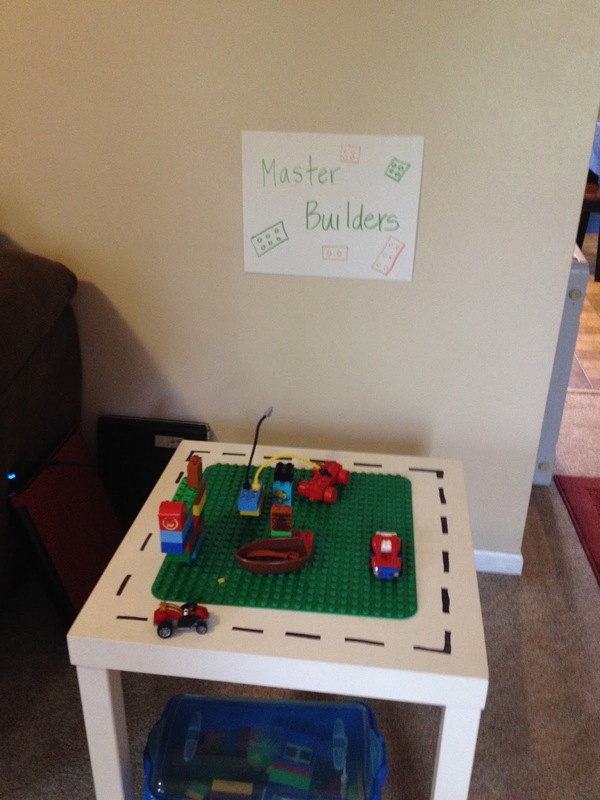 Check out my Pinterest Board for more Lego ideas too! You might be eligible for a complimentary $1,000 Amazon Gift Card.